In 2009, Shane was a groomsman in his friend’s wedding. He noticed a pretty bridesmaid (Sara!) from across the room, though they didn’t have a chance to speak that evening. Besides, the timing wasn’t right: Sara was dating someone else at the time. Several years later—in 2012—they both ended up at a summer cook-out. It was hosted by the same couple whose wedding they were in. Luck was on their side, and they were both single this time. They talked the night away and the next week, Shane asked her out for sushi. And they've been inseparable ever since. One of their favorite past-times is traveling, so this Fall Shane completely surprised Sara with a proposal at a vineyard in New York overlooking a lake. 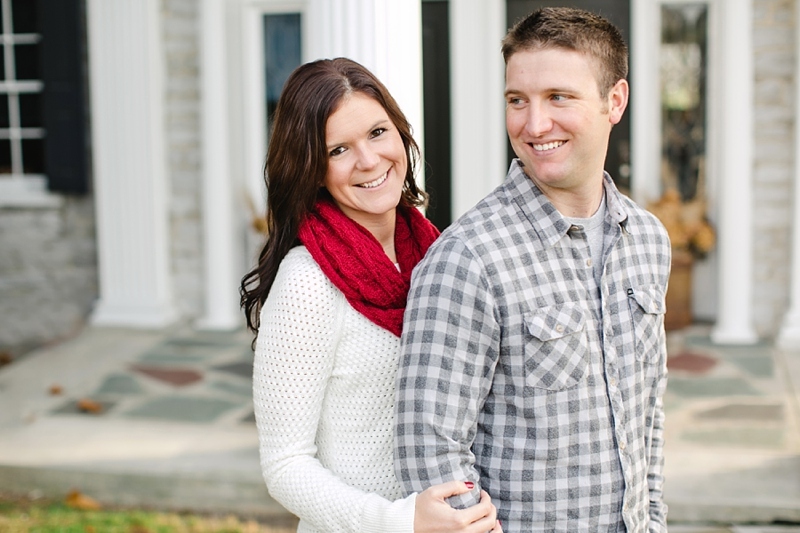 I’m excited to celebrate with these two when they tie the knot in May. I enjoyed getting to know this sweet couple as we meandered around the beautiful property of Sara’s friend. They’re so easy going and it’s easy to see they adore each other. I am so thankful when my clients trust me when I say crazy things like, “Ummm guys, trust me on this one…can you stand here in this holly tree?” Sometimes the simplest backgrounds can make the loveliest shots. One of my favorites from the session. Sara, you are stunning!! And you can tell Shane just adores his girl. So much joy, you two! My other favorite.